The FBI and Secret Service are going to have their work cut out for them on Trump’s inauguration day. 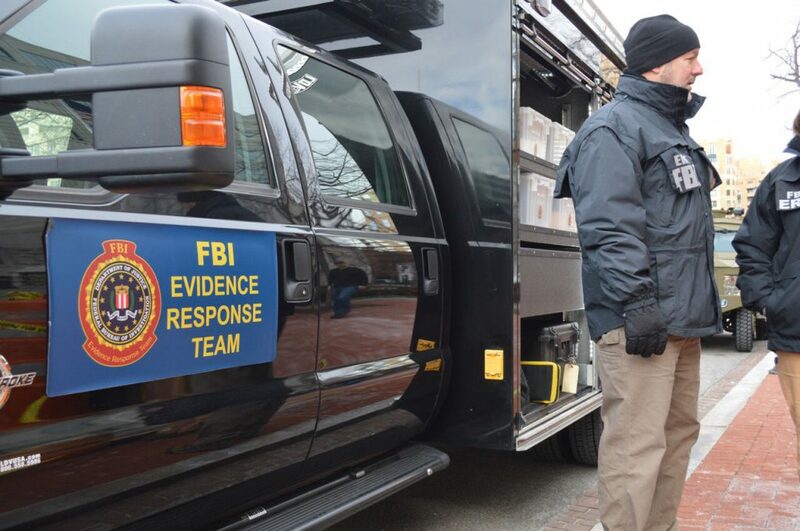 On a bone-chilling Monday morning, agents and technical specialists from the Washington Field Office of the Federal Bureau of Investigation huddled and shifted from foot to foot. They were trying to stay warm in near zero-degree weather as they prepared to demonstrate to the media a half-dozen reasons anyone or any organization planning to attack the 2017 inaugural should think twice. Rhetoric from hostile nation-states, active threats on social media and angry protesters are just part of what authorities are preparing for. Six units including the Hazardous Evidence Response Team, Special Agent Bomb Technicians, the Operational Medicine Team, the Evidence Response Team, the Crisis Negotiations Team and the Special Weapons and Tactics team gave detailed explanations about their capabilities. Just a few blocks from the U.S. Capitol, the leadership and agents of the field office are well aware of the severity of the threats facing Washington and the gravity of their response. There have been 58 inaugurations for 44 Presidents since 1789. After 1998, all have been designated as a “national special security event.” They are events that are deemed to be a potential target for terrorism or other criminal activity and, by procedure, mean the U.S. Secret Service is put in charge of event security.